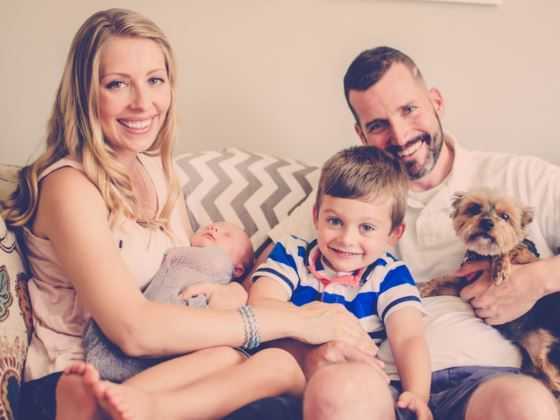 ALBANY, N.Y. — J.J. Hanson, who staunchly fought against physician-assisted suicide in the midst of his own battle with terminal brain cancer, has died at age 36. In May 2014, Hanson was diagnosed with stage 4 glioblastoma, the most aggressive form of brain cancer, and was told that he had four months left to live. He was advised that his tumors were inoperable and that he should go home and enjoy the few weeks he had left with his family. However, Hanson and his wife, Kris, decided to obtain opinions from several other physicians and were able to find a doctor who was willing to perform surgery. He was also placed on chemotherapy and radiation, and underwent a clinical trial with an experimental drug. The road ahead was difficult and Hanson struggled with depression after several months into the fight. Looking back, Hanson has told others along the journey that in those dark moments—if he lived in a state that legalized assisted suicide—he might have chosen to take the pill and end it all. But he realized that wasn’t the answer. Hanson outlived his prognosis by three years, with his cancer going into remission last year before returning. He joined the Patients’ Rights Action Fund as president in the midst of his battle and began speaking out against physician-assisted suicide, working to fight against proposed bills that would result in the premature deaths of untold lives. “Without a doubt, people similar to me facing desperate situations will feel like assisted suicide is their only option. In our society, we should be focused on giving hope to the vulnerable and the sick at their greatest time of need, not taking hope away,” he said. Hanson and his wife had their second child this past July. Earlier this month, the Patients’ Rights Action Fund announced that Hanson likely did not have long to live, as his cancer had grown considerably since his last scan on Nov. 1. He availed himself of hospice and palliative care at home in his remaining weeks of life, and expressed a hope that his story would be shared so that it could help others. Hanson died on Saturday. He was a father of two, a Marine, and formerly served as an aide to New York governors Eliot Spitzer and David Patterson. “Every single day is a gift, and you can’t let that go,” Hanson was known for saying.